Union Home Minister P Chidambaram Wednesday accused Leader of Opposition Sushma Swaraj of making thoughtless allegations and “tying herself in knots” by levelling the charge that he had misled the panel which selected P V Thomas as CVC. Taking exception to Swaraj’s charge that he misled the committee by informing it that Thomas had been acquitted in the palmolein case, the minister asserted that he did not say so. 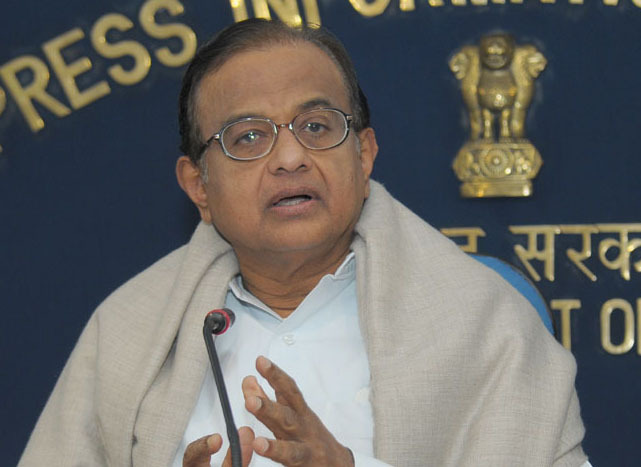 “I take exception to the statement by Sushma Swaraj… that I had ‘misled the selection committee’ and told the committee that Thomas had been ‘acquitted’,” Chidambaram said in a statement in New Delhi. Swaraj said Chdambaram had told the committee that Thomas had been acquitted in the case. Following this, she had asked whether he was eligible even if he was acquitted in the case on the ground that the Central Vigilance Commissioner must be an outstanding officer with impeccable integrity. “The entire debate was based on this,” she said. Countering the BJP leader, the Home Minister said she was “tying herself in knots” by making “thoughtless allegations”. “Firstly, if no sanction for prosecution had been granted since 1999 against P J Thomas (as admitted by her) how could the case have proceeded to trial or ended in an acquittal of Thomas? Secondly, if the Supreme Court had stayed the trial of the case (as admitted by her), is it not self-evident that the case was pending and nobody could have been either acquitted or convicted?” he said. He requested Swaraj to respect the rule of sub-judice and allow the Supreme Court to decide the case. With Chidambaram earlier stating that the palmolein case against Thomas was discussed by the panel, Swaraj had Tuesday said she would not file an affidavit on the issue in the Supreme Court as there was “no dispute on facts now”. Attorney General G E Vahanvati had stated in the Supreme Court last week that the chargesheet against Thomas had not been placed before the panel comprising the Prime Minister, Home Minister and Leader of Opposition.This had prompted Swaraj to say that she will file an affidavit in the matter as the government was “misleading” the apex court.